With just a few days left before Delhi goes to the polls, VotersMood Research travelled across Delhi to gauge the mood of people across the demography. This report is a result of a field study conducted in all 70 assembly constituencies in the last week of January, after the announcement of Kiran Bedi as the CM candidate of the BJP. This is the toughest electoral battle that BJP is fighting after Loksabha 2014 and irrespective of who wins, the terms of battle have been dictated by Arvind Kejriwal and AAP. Congress at best plays the role of a spoiler or a vote splitter in these assembly elections though it does make some contests mildly triangular. A) Sure seats. These were seats that were throwing up clear winners as per the study. B) The Close bipolar fights which were likely to experience a close fight between two of the three main parties – the BJP, the Congress and the AAP. Here too there are parties that have an edge but the seats could go either ways. C) And then there are seats that have mild triangular contest, where minor swings could make the winners move. That this is a close contest is borne by the fact that less than half the seats have clear winners. We could observe clear winners in only 29 of the seventy seats – these are the sure seats. The front runner among the sure seats was the AAP which had 17 clear winners. For the AAP this category includes seats such as Sangam Vihar, Sultanpur Majra, Shakur Basti, and Patparganj. The BJP has 10 such seats. For the BJP the sure fire win seats include Krishna Nagar – the seat of Mr. Harshvardhan, Moti Nagar – the seat of late Madan Lal Khurana, and middle class areas such as Rohini. The Congress seems well placed in minority dominant Okhla and Seelampur. Close Bipolar fight seats – There are a total of 22 such seats and if the current trends persist without change then the AAP could take 10 of these and the BJP could take 12. The seats that are set for a close fight include BJP strongholds such as Shalimarbagh, Janakpuri, and RK Puram. It also includes a seat such as Jungpura, which the AAP won last time, and several others where the AAP is trying to break in right now such as Bawana, Mustafabad, Gokalpuri.. However a small swing could produce a windfall in favour of either of the parties here. The simulations below illustrate the changes. There are nineteen seats where the Congress is showing up somewhat in the race making the contests slightly triangular, if not exactly bipolar and these seats include Sadar Bazar, Chandni Chowk, and Ballimaran. In minority dominant North East Delhi too the Congress is showing some life. In these seats the AAP and the BJP share the honours having a mild edge in eight seats each, while the Congress has an edge in three. New Delhi: Arvind Kejriwal is expected to win comfortably. Nupur Sharma is not even getting the core BJP voters to rally in her support; even Brahmins are not putting their weight behind her. Kiran Walia remains a non starter as she has not been able to rally the support of Sheila Dikshit who represented the constituency for 15 years. Krishna Nagar: Kiran Bedi could win but would find it difficult to maintain the margin of BJP’s victory last time around. BJP workers associated with Dr Harsh Vardhan are not campaigning for her and that has resulted in her spending lot of her time in Krishna Nagar constituency. Sadar Bazar: Ajay Maken is in the toughest fight amongst these three, though he has a track record of winning tough seats. It is believed that AAP and BJP will fight for the Bania vote, while for the SC and Muslim votes there will be a fight between AAP and Congress. This time Sadar Bazar is seeing a triangular contest in the true sense and things could change dramatically with the shift of a few percentages of votes. This is the first assembly elections where BJP & AAP are the principal parties in the race though Congress is making it mildly triangular in some places. It is believed that the INC & AAP have a common core vote bank as a result in many seats INC’s better performance may result in BJP’s victory. Another interesting point VotersMood Research came across is that apart from the usual divides of caste, religion & region, we will in all probability see a class divide with lower class, lower middle class voting en bloc in favor of AAP while upper class, upper middle class preferring the BJP. While BJP party workers usually indulge in a high decibel campaign this time they are a little circumspect. Tactical voting by minorities will be another factor across Delhi. Unlike last time when they voted for INC, this time they are voting for the candidate who they believe is going to defeat the BJP. There is no Shia or Sunni divide amongst the Muslim vote and in all probabilities they would vote en bloc for a single candidate in each constituency. So in seats like Okhla, Seelampur, Balimaran, Matia Mahal, Chandni Chowk; INC is on a strong wicket though it may not pull through all. 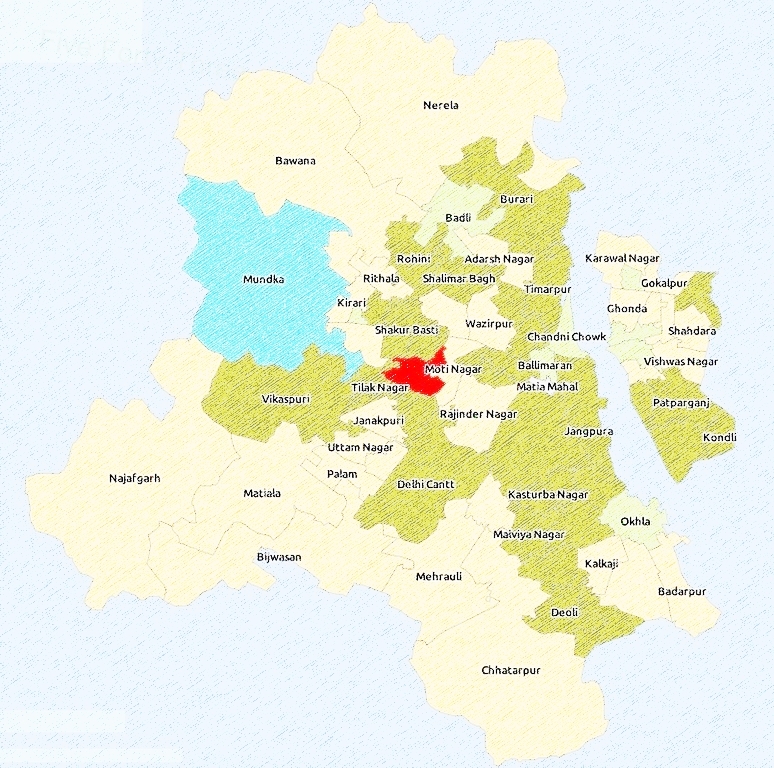 Seats like Mustafabad may see a change along with seats where Muslims may not be present in large numbers but still significant enough to effect the results. Many in the Muslim community in Delhi feel that this is the first time that they are getting a choice while casting their vote. Punjabi votes in Delhi politics were one of the most important vote blocs till 1999 and were know to be traditional BJP supporters. But the demography of Delhi has changed. BJP’s hold over the Punjabi votes has loosened though most of them would still vote for BJP in the coming assembly elections. Sikhs votes have traditionally favored the BJP-Akali combine. The Sikh vote decides the winners in Tilak Nagar, Hari Nagar, Rajouri Garden and Janakpuri. Some other places where they can tilt the balance are Kalkaji & Shadara. In Tilak Nagar, Hari Nagar, Rajouri Garden and Janakpuri they are split almost midway between BJP and AAP. 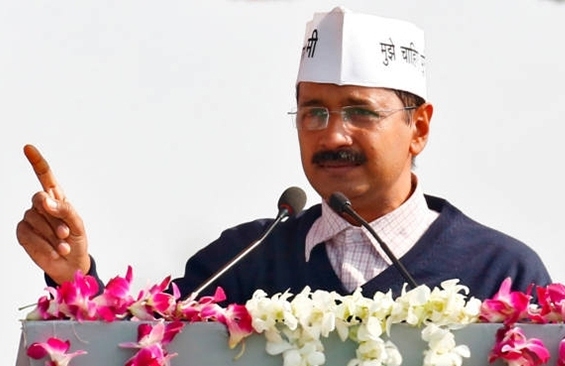 Bania votes are usually aligned with the BJP in Delhi but in this assembly election, Bania’s of North West Delhi and West Delhi have moved in significant numbers towards AAP. Bania’s who have migrated from Haryana have more or less moved towards AAP. This assembly election it is a neck to neck race between AAP & BJP which could turn either ways. VotersMood Research has tried to mirror the political undercurrent in Delhi; the attempt is to bring out the reasons behind the possible outcomes.